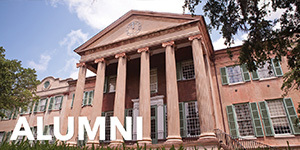 Thank you for your interest in the College of Charleston. The Academic Advising and Planning Center advises currently enrolled students. 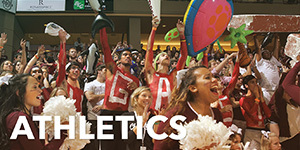 However, we know prospective transfer students have questions. 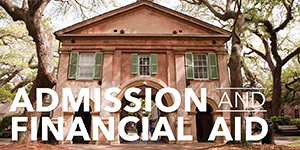 Before moving any further, it is important you are aware of and knowledgeable about the academic programs offered at the College of Charleston. Additionally, you will need to apply to the College for admission and have an official transcript sent for evaluation. In order to get a general idea of how your credit may transfer, you can access the Transfer Credit and Transfer Equivalency Website below. New Transfer students meet with an academic advisor at New Student Orientation and undeclared transfer students must attend Mandatory Advising in their first semester with our office. 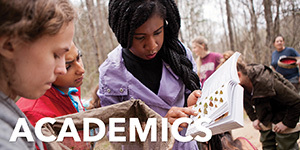 Transfer students that declare their academic major prior to registration holds being placed each semester (typically mid-October, mid-March respectively) will be advised by their academic department. 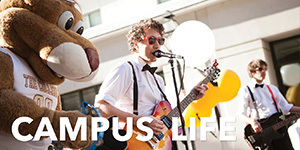 Advising and Registration are part of the two-day campus orientation process, which occurs in each of ten Orientation Sessions over the summer. New students are advised in the morning of Day 1. Advisors cover graduation requirements, general education requirements, the rigor of college and other essential information in small group advising sessions. Students are provided with personal placement scores already available to the college at that time and will chat briefly with an advisor about their specific questions or concerns. Students are given homework to complete overnight in preparation for the registration process. Welcome to college! Day 2 consists of actually registering for the fall courses (Summer orientation) or spring courses (January Orientation). Before registering, student homework will be checked. No homework= No Registration. Again, this is in a small group environment and will be held in a computer lab. The same advisors from Day 1 will be with students on Day 2. All students must check out of the computer lab with their assigned advisor. The advisor will check the student’s schedule for appropriateness based on their discussions from Day 1 and Day 2. Students can make changes to their semester schedule after orientation is over, but it is strongly encouraged that students check in with their academic advisor when making changes. 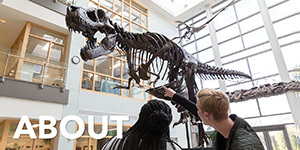 Visit our Preparing for Your Orientation Advising Session page for more information. Students interested in the Bachelor of Professional Studies should contact the School of Professional Studies.